Experts have pointed to several possible causes behind the “Bulgaria” sinking on the Volga River, including the cruise ship’s poor condition, overcrowding, stormy weather, port officials’ oversight and decisions made by the ship’s captain. According to the Investigation Committee, a technical failure of the vessel is the most likely cause of the accident, however, other versions are also being considered. The Prosecutor’s Office also stated that the ship was in poor shape when it left the port. “It was established that the cruise was done with numerous violations. The Bulgaria had been in service for 56 years. An overhaul was done some 30 years ago in 1980. There was no valid license for passenger transportation. Its left engine was damaged and the ship load tolerance was exceeded,” a spokesperson for the office, Marina Gridneva, said. However, the head of the Russian River Register, responsible for the classification of the vessels, Evgeny Trunin, said a major examination of the ship was carried out in 2007, and the vessel was declared seaworthy for five more years. Earlier, the Transportation Ministry claimed the last technical examination of the ship was in June 2001 and the Bulgaria was found to be in compliance with all the safety demands. The other possible reason named is an overload of the vessel. The Bulgaria was previously certified to carry a maximum of 120 passengers, but according to the latest data from the Emergencies Ministry there were 207 people aboard the ship. The initial figure was reported as about 180, which was a violation in its own right, but survivors told investigators about some 25 passengers who were not even listed as being there. 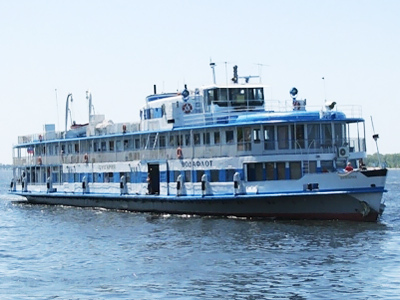 However, Konstantin Anisimov, director of Moscow's river transport, said he would rule out overcrowding as a cause, because boats of this type can carry up to 450 people and it does not really matter whether there were 150 or 200 passengers on board. He added the age of a ship is also not that important for river transport and there is no age limit for such vessels. 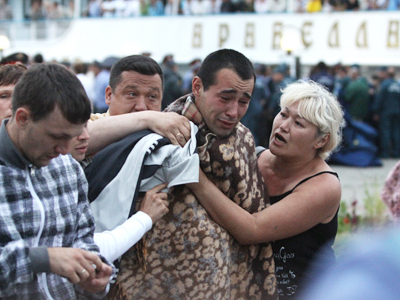 Anisimov believes that a combination of crew recklessness and a storm with heavy wind led to the rapid sinking of the ship and to such a big number of casualties. “The thing that is very striking is that the boat went down so quickly; we haven’t had events like this in the past 50 years at least, so the fact that there was a storm and the illuminator windows were probably open led to it possibly filling up with water quite quickly, especially when it leaned to one side. 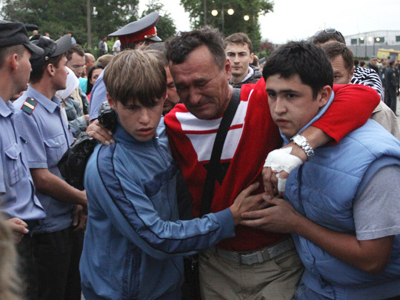 The portholes should have been closed before it entered the reservoir,” said Anisimov. Media say the ship’s captain decided to leave the port despite knowing the vessel had an engine failure. According to one of the surviving crew members the captain had received a call from some higher authority, after which he ordered to continue the trip, Itar-Tass reported. The same crew member said the reason the ship was weighted to one side was because of the half-empty fuel tanks. He also confirmed that the captain knew about the engine failure and decided to move on with one functioning engine, despite the passengers’ and crew members’ objections, Interfax reported. Valery Kirchanov, CEO of the company which owns the ship, also said a warning of a strong wind and high waves had been issued on Sunday morning. “In such conditions the captain has to make an order to shut all the portholes,” he explained. “If such measures were not taken, taking into account the right careen and high waves, when the ship turned left, the water might have gotten inside the ship." 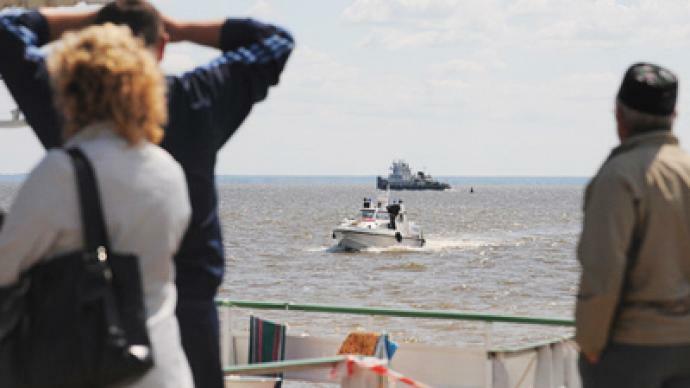 Vasily Amelin, a professor at Moscow's Academy of Water Transportation, also believes the main causes were likely bad weather and poor safety regulations, saying the number of passengers would not have caused the ship to tip over. “The only reason I can single out is that there were reports that the wind was 18 meters per second at the time of the accident, and boats of this kind can lose balance in such strong winds,” said Amelin. River transport supervisor Yury Raskin believes it is the port authorities who are responsible for safety and for letting the boat with such violations leave the dock in the first place. “It’s a very old ship, it shouldn’t have been used. Moreover it was built to correspond with safety requirements of the 1950s and while criteria has changed the boat's condition hadn't,” he said. 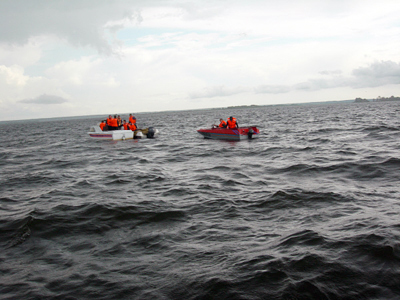 Meanwhile, Russia’s Emergencies Ministry is planning to lift the sunken vessel from the Volga River. 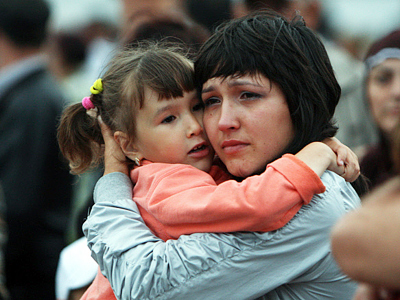 Emergencies Minister Sergey Shoigu said two cranes will be brought from Volgograd and Nizhny Novgorod to the wreck. He also added that the search operation is ongoing.